You know that criminal research is one of the largest expenses of a background research business. 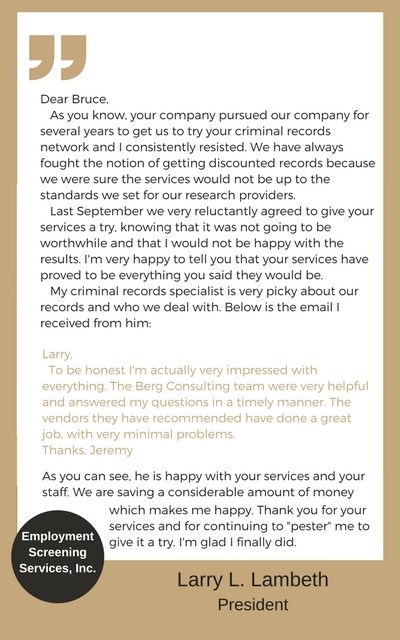 To help background screening businesses take control over this expense we have spent the past 15 years researching and developing THE premiere network of criminal records sources in the industry. We use the cumulative power of all of our clients’ volume to negotiate with the best service provider and guarantee the best rates. Altogether, the power of the Better Vendor program is in the numbers. The massive volume from our referred clients ensures our vendors produce superior results. You have no middleman. You you will work directly with the provider. Our better vendors provide accurate reports with the fastest turnaround time and unmatched savings exclusively to our clients. Historically our Better Vendor Program clients have saved literally several million dollars! Now you don’t have to guess, hope, or even imagine how much the Better Vendor program can save you… we’ll PROVE it! 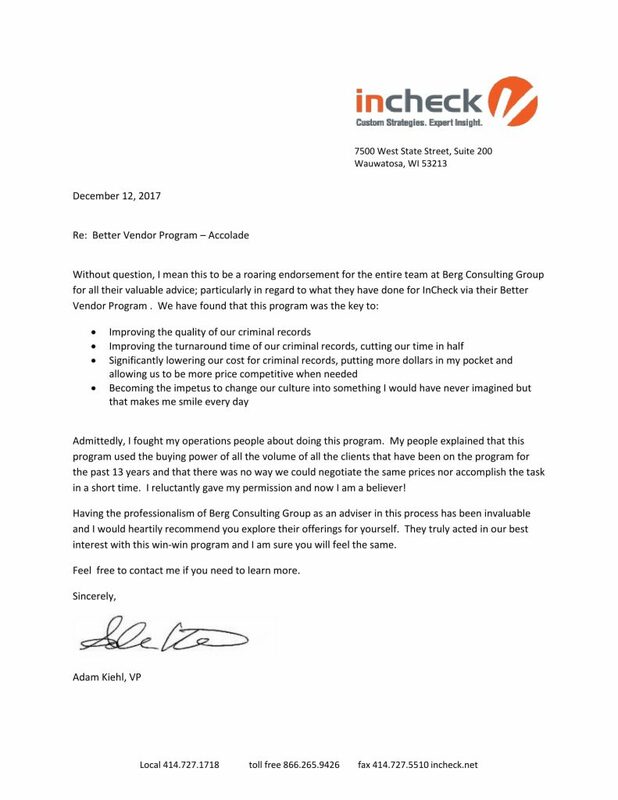 A FREE formal analysis is performed by our senior consultant allowing you to see real proof of your company’s savings before you apply for the program. After we’ve completed the analysis of YOUR volume we’ll provide you with a SAVINGS REPORT. It takes our senior consultant a full day to complete this analysis and is free of charge to you! There are NO upfront, monthly, or usage fees with the Better Vendor program, just real dollars put back in your pocket, forever! If you’re conducting more than 2500 criminal searches a month and not using the Better Vendor program you are paying too much. Don’t take our word for it, make us prove it! Contact us for a no cost analysis today!